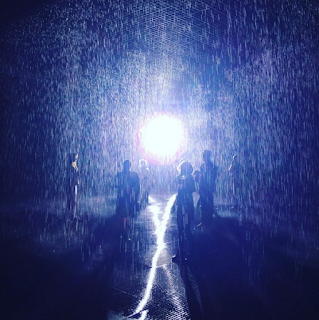 Tonight Will asked about "Rain Room." We were going through some of the videos on my phone, and he asked to see the one where he's walking through a room full of falling water but not getting wet. 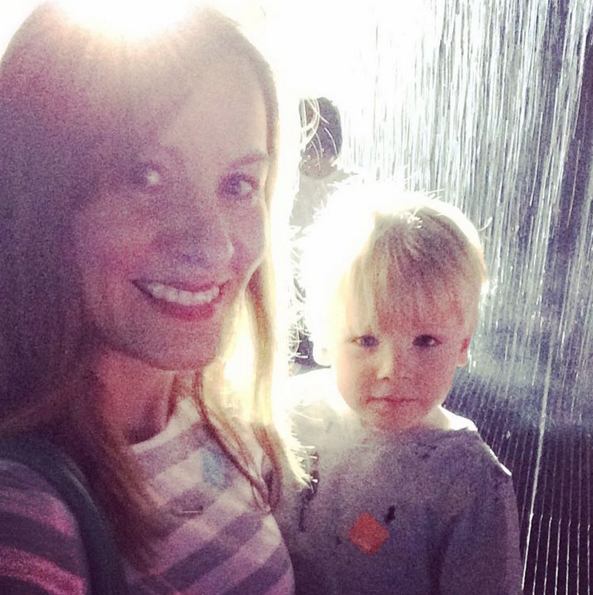 Obviously, the LACMA exhibit we visited the weekend before Thanksgiving made quite an impression! "Rain Room," from Random International, is truly a marvel, and both Will and I were fascinated. 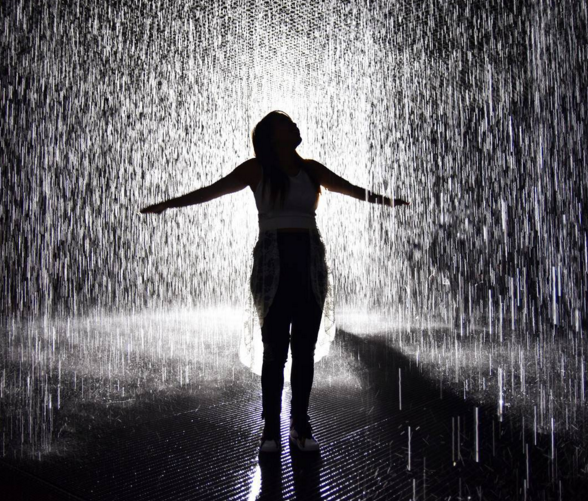 You can literally walk under what seem like a million sprinklers, and not get wet. That is, unless you start running, and slip and fall, which is what Will did. (He got a little too excited.) Move slowly, and keep in mind that you're essentially walking over slick drains. Besides, you'll want to take it all in. After all, because the tickets are timed, you should enjoy your 15 minutes to the fullest. Cold and flu season has definitely arrived -- parents and kids have been out sick at work and school -- but a great way to keep nighttime less congested is with the Vicks Sweet Dreams Cool Mist Ultrasonic Humidifier (SRP: $59.99). While that's certainly a mouthful, CC and Will love the one we have in their room. 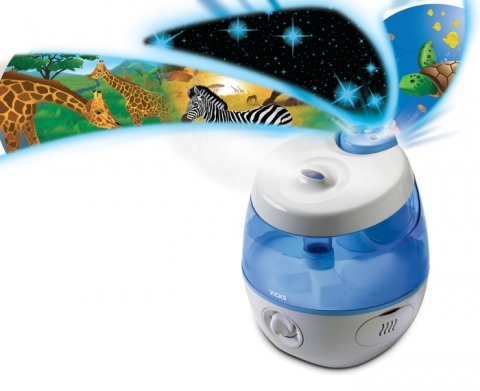 Usually, they're more than blase about the latest humidifier, but this one comes with a cool animal scene projector that lights up their ceiling as they fall asleep. There are three different scenes to choose from -- an African safari, an underwater world and a starry night. That plus the cool mist and the option to insert Vicks VapoPads for added menthol vapors, and the humidifier becomes a real must-have. I'm hoping this helps keep the kiddos sniffle-free through the winter. Fingers crossed! We're entering the Science of Gingerbread competition at Discovery Cube Los Angeles! While Thanksgiving might be tomorrow, we're already thinking ahead to Christmas, and you know what that means—gingerbread house time! As you might have read in my previous post, Discovery Cube Los Angeles is celebrating its 9th annual Science of Gingerbread exhibit (November 27-January 3), which features a gingerbread competition. And the best part? CC and I are entering! We started today with an adorable gingerbread house kit from Dancing Deer Baking Co. What's awesome about this is that the box serves as its own support structure, so you don't have a house that looks like this (we tried!). 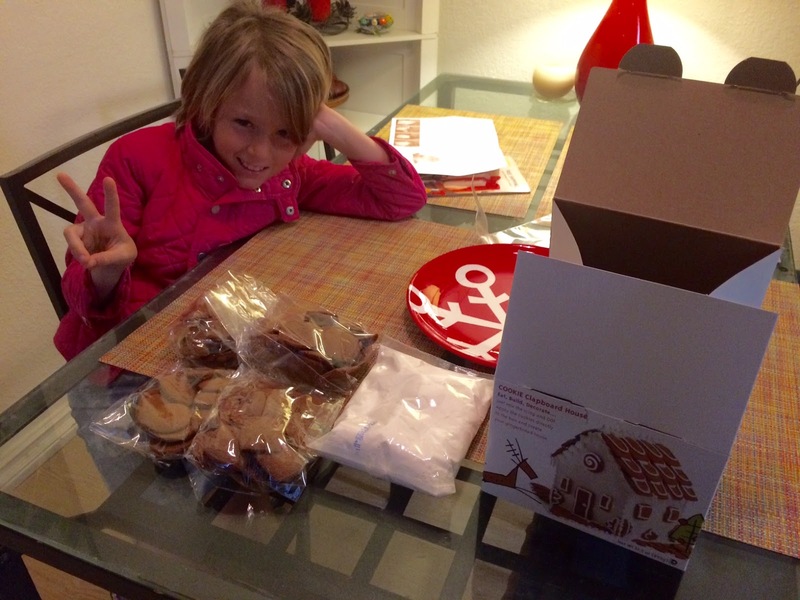 First, we laid out the basic ingredients: gingerbread cookies, super-sugary white icing, house frame and plate. Step 1: Separate your basic ingredients. 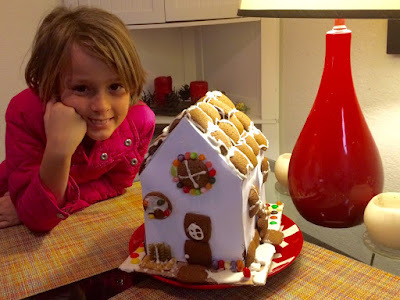 Then, we scoured the cabinets looking for fun, colorful items that would give our gingerbread house some pizzazz! Think M&Ms, jelly beans, dried cranberries and even colored pasta. Next, CC and I started decorating. I think her favorite part was giving the gingerbread people faces and personalities. One was Scaredy Sam, another Heart Person, and others were Uncle Yelli and Cute Person. Don't forget to give your gingerbread people some personality! After that, we added jelly beans as Christmas lights, M&Ms, pasta and cranberries as parts of the garden, and extra icing as snow on the roof and yard. 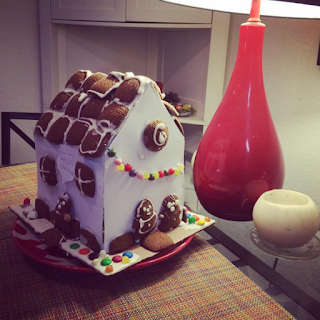 While this wasn't our first gingerbread creation, as I mentioned earlier, we still have a long way to go before we can consider ourselves gingerbread professionals. What I did love, though, was watching CC get so creative with our house. It was her idea to draw a green string to hold jelly bean Christmas lights. She also used green fusilli as a small shrub. And those gingerbread people—the stories she told about them were so funny! We had a great time decorating. In fact, it was a wonderful mother-daughter moment I'll always remember—even if I was a little Type A about the messy icing! Don't forget to download the entry form and bring your fabulous gingerbread creation to Discovery Cube LA by November 29! Tickets: $10 for adults and kids through January 3. Kids ages 2 and under are free. One of the things I love about Christmas is gingerbread! CC and I have decorated gingerbread houses and gingerbread men, and I'm so excited that Discovery Cube Los Angeles makes this awesome tradition a serious event. 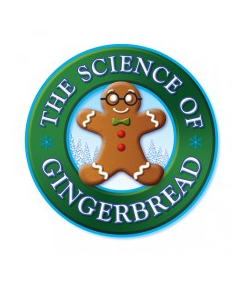 The Science of Gingerbread exhibit kicks off on November 27 and runs all the way through January 3. And there are so many ways you can participate! Besides learning about the science behind baking in the Kitchen Chemistry Learning Station or the Gingerbread Spices Learning Station, families can also take part in cookie decorating (and eating! ), a gingerbread derby and check out the Science of Snow to boot (great for SoCal kids for sure)! While that sounds amazing, Santa will also be on hand at Discovery Cube LA for visits and Christmas present requests. His first appearance will be this weekend, Nov. 27-Nov. 29. After that, he will visit weekends in December and December 19-24. 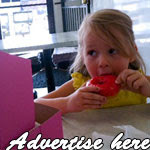 Don't forget to decorate cookies that you can indulge in afterward! Check the Discovery Cube site for dates and times. And keep in mind that tickets are only $10 for adults and kids through January 3, 2016! Enjoy and hope to see you there! 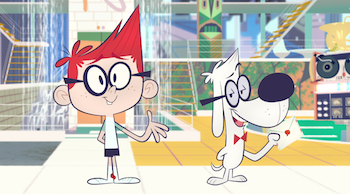 For kids who are digging "The Mr. Peabody & Sherman Show," which debuted on Netflix last month (CC is one of them), then they'll definitely get excited about a fun event happening this weekend at Discovery Cube Los Angeles (and Orange County). Join us for a special weekend celebrating the recent launch of the hilarious brand new original series from DreamWorks Animation, The Mr. Peabody & Sherman Show. Mr. Peabody, the smartest dog in the world, and his boy Sherman host their very own zany late night talk show jam-packed with fun segments, cool characters, and memorable music numbers. 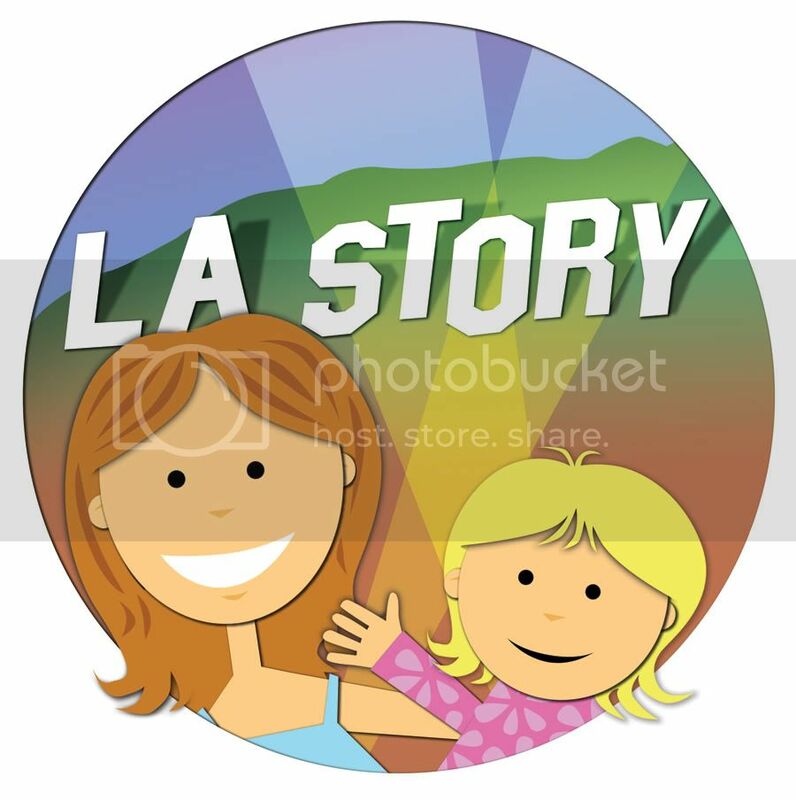 All activities are inspired by the show and available at both Discovery Cube OC and Discovery Cube LA.